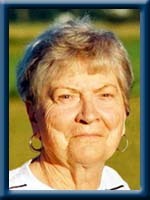 Emma Marguerite (Clarke) Rice, 91, of Liverpool has passed away on January 23, 2013 after a life well lived. The daughter of the late Hugh Elmer and Mary Cleophalus (McAleese) Clarke, Emma was born on August 7, 1921 in her grandparents’ home at Pugwash Point, and grew up on the surrounding seaside family farm. Emma attended Provincial Normal College in Truro, graduating in 1942. After a time in the Cumberland County schools, Emma moved to Liverpool, touched the lives of a thousand or more fourth grade schoolchildren over a thirty-five year teaching career and eventually became the last Principal of the Liverpool Academy. Emma met her husband, George Howard Rice, on a blind date soon after Howie returned home to Queens County from overseas duty during World War II. They were married on July 2, 1947 in the parlor of Emma’s family home. After their working days were done, Emma and Howie enjoyed a long, happy and healthy retirement split between Pugwash Point and their home base in Liverpool. Emma was an active member of the Liverpool United Baptist Church congregation, serving as a Deacon for many years and then as an Honorary Deacon to the end of her life. Emma is survived by her two younger siblings, Jewell Coulter (Amherst) and Hugh John Clark (Pugwash), her two sons and their wives, Hugh & Lisa (North Kingston) and Howie & Nina (Cambridge, MA), and six grandchildren, Brad, Amy, Thomas, Zan, Will & Kate. Howie, her devoted husband of 62 years, pre-deceased Emma, as did her older brother, Elmer. How my heart aches for this devoted lady. May she know there are so many of us who loved her dearly. God bless Her. She is at Peace. Love from Linda P. Leslie, of Brooklyn. To all of Emma’s family, I offer my deepest sympathy in her passing. I always enjoyed visiting she and Howie and they made me feel so welcome. I am glad that I went to see her last month and had a little chat. She is now at peace but leaves you many great memories to cherish. I was very sad to hear this morning of the passing of “Mrs. Rice”. Mrs. Rice was a beautiful person inside and out. I grew up on Zwicker Avenue and I always looked forward to my visits with your parents of sharing some juice, treats, and conversation. Mrs. Rice was also my Grade 4 teacher who showed her love and passion for teaching and caring for the welfare of her students. She spent many hours with me before or after class to take the time to teach me how to approach solving those “tricky math word problems”. When you look back on your life, there are very few people that stand out that make a lasting impact – Mrs. Rice made a difference in my life. So sorry to hear of Emma’s passing. I met her and her husband Howie on several occasions at my dental office. Their love for each was so obvious during the conversations I had with them. Even after his passing she still had a twinkle in her eye and maintained a zest for life. My condolences go out to the family. Very sorry to read of Emma’s passing. Both my children had the honor of being taught by her and I enjoyed the fellowship we shared at Church. Please accept my sincere sympathy. My sympathies to Mrs. Rice’s family on her passing. Although I never had Mrs. Rice for a teacher, my late mother Janet was a former colleague and spoke very highly of her. I have fond memories of the Academy. Emma was a much respected and super lady in my life. It was a great pleasure to have known her, worked for her and shared in part of her life.I looked up to her with both love and respect. Her passing leaves an emptiness within. I extend my most sincere feelings of sympathy to all her family . So sorry to hear about your Mom, must be tough losing your last parent. We are in Florida so will not be able to see the two of you but you are in our thoughts. Just read my biscuits recipe where the sugar is measured “Emma’s Way” and smiled…such a funny, loving woman who had only the best interests of everyone around her as her first, and last, thoughts. My wishes for happy memories for everyone she touched. She was a lovely, lovely lady. my sympathies to you and your families, I had taken my mom and the Boston wife down for a visit just after my late husband passed. we shared a cup of tea and great laughs all afternoon. I look very much like your mother and have been told I have her twinkle, what a great legend. may god bless. Please accept my most sincere condolences in the loss of Emma. Your family is in my thoughts and prayers at this most difficult time. To Emma’s family: So sorry to hear of Emma’s passing, she was a wonderful person. Our thoughts and prayers are with you at this difficult time. To Emma’s family; We are so sorrry to hear of Emma’s passing. She was a good neighbour on Zwicker Ave for many years to both Lloyd and I. Deepest sympathy. Your Mum was such a sweet person and so kind. Always enjoyed having a chat with her when I met her. My sincere sympathy to you both, and your families. We are thinking of you at this time and even though your mother lived a full and wonderful life it is still sad. So God be with you. She was one of the most wonderful people that I ever met. She was a great teacher, but a above all she was such a genuine and wonderful human being.This world, and especially Liverpool, is a better place because of her. I am so glad that I knew her. To the Rice families and all who mourn. I was saddened to hear of Emma’s passing. I have such fond memories of her as a School Teacher, Sunday School Teacher & friend. I will always remember her with great fondness. Barbara Ganter Naugler. great lady, and aunt, i’m one of the young rice from saint john, n.b. . visit in the summer at her home and cottage, always made you feel welcome. Sincere condolences on the loss of your Mom. May the stories and memories of how she touched so many lives bring you comfort at such a difficult time! Dear Family Sincere Sympathys from Pugwash ,here I talked to Lilly the other day .We all feel it keenly. I will remember Emma very fondly. I have many great memories of my time in grade four with Mrs. Rice. I had chance to visit her in the manor a year or so ago and her good humour was no different than it was in the 1979-1980 school year. I am sure many others will think of her just as fondly. Dear Hugh,Howie,And Family,We have many great memories of your Mom,Still miss seeing her on our street,She was a great lady.May God be with you all at this sad time..
Condolences to Emma”s family f- She was a fellow teacher, a friend, and a truly great lady.Heaven will have one of the best! with you. I will always remember her fondly. So sorry to hear of your mom’s passing. She was a wonderful lady with such a warm heart. I am sure you are left with many wonderful memories to help you through this difficult time. Take care. I was “Privileged” to have been associated with this fine “Lady” as a colleague and neighbor! She will be remembered as a caring, fair teacher and administrator but also one of the finest human beings. Not saying teachers aren’t human beings but her caring overflowed to her community. I will remember her for her whit and sense of humour! God Bless this “Wonderful Lady”!! Saddened to hear of Emmas passing. I worked for Emma and Howie for several years and loved going there. I never came out of there once not having laughed or felt better. Emma had the greatest personality and humour about her. i missed her stories and Howie rolling his eyes. They are now together again. Thinking of you during this sad time, but remembering your mother as a wonderful woman. It was always a joy to talk with her. If we could all have a little of her great outlook on life, the world would certainly be a much better place! Dear Hughie & Howie, Sorry we can’t be with you today as you gather with family and friends to honor the life of a wonderful mother, teacher and friend. Our thoughts and prayers are with you. To Emma’s family: we are saddened to hear of Emma’s passing. She was a lovely lady. We have fond memories of visiting her and Howie at their summer home at Pugwash Point. Our thoughts and prayers are with you at this difficult time. We have such fond family memories. Sincere sympathy at this difficult time. May the memories of all thoses stories bring you comfort at this time. I am sorry to hear of Emma’s passing. She was indeed a great lady. These past few years when she came to our department @ SSRH for her follow ups, we would have a great chat and a few laughs!. Some of mom’s best childhood memories were of the times she spent with Emma and her family @ Pugwash Point. Dear Howie & Hughie and families, We miss your Mom here on Zwicker Avenue. She was a great teacher for myself and our family and a great neighbor. We will certainly have fond memories of Emma. We wish you all the best at this time of loss. Extending sympathy to Emma’s family. When I read Emma’s obituary in the newspaper, I was reminded of the wonderful kind memories of Emma and her friendship with my parents, the late Donald and Myrna Mundle and the Pugwash Point connections. Thinking of you as we grieve Emma’s passing and also celebrate a life well lived. I want to send my sincere sympathy to all of Emmas family & friends. Emma was such a beautiful & caring person.I spent some time with her a couple of days before she passed..I will always remember the many stories & jokes she shared with all of us at the Manor..
She made me smile & I respected her a great deal..I am sure she will be writing down her notes in heaven & free from all of her pain.. Sorry we can’t be with you to-day as you gather with family and friends to honor the life of a wonderful Mother, Teacher and Friend. Please know how much your parents meant to us, they were just the nicest people ever. We didn’t know them until we started working for them many years ago, They became very special to us and while we sad to hear of Emma’s passing, we are thrilled they are together once again. God Bless them both now as ever….. Sorry to hear of Emma’s passing . I was very privaledged to have “Mrs. Rice” for my 4th grade teacher. To this day I can remember specific lessons she taught. Mrs. Rice will truly be missed but never forgotten. RIP Mrs. Rice. Sorry to read about your mom’s passing. My thoughts and prayers are with you. I have fond memories of bening one or her students. I remember spending time with Mrs. Rice when I was little, growing up on Zwicker Avenue, and visiting with her in Pugwash when we spent our summers at my grandfather’s cottage near there. She was always kind and spoiled me and the other neighbourhood kids. As an adult, I had the privilege of returning the favour in her later years. I am very sorry for your loss. My heartfelt sympathy, she was s beautiful , sweet lady…. Emma wasa wonderful person. We taught grade 4 together at the Old Academy and enjoyed many wonderful times together. Our sincere sympathy on the news of your Mom’s passing. She will be missed by all her neighbours on Pugwash Point. May the memories you hold of her and your wonderful times together be your source of strength and comfort at this difficult time. Many years ago,Emma welcomed me as a brand new teacher into her school. Coming to a new area, with no friends or family near-by, I appreciated her warmth and support so much. Every day she had a joke or a story to share, along with her request, Take a break and have a cup of tea”. We are all better people for having known her. Just a lovely lady and a great teacher.